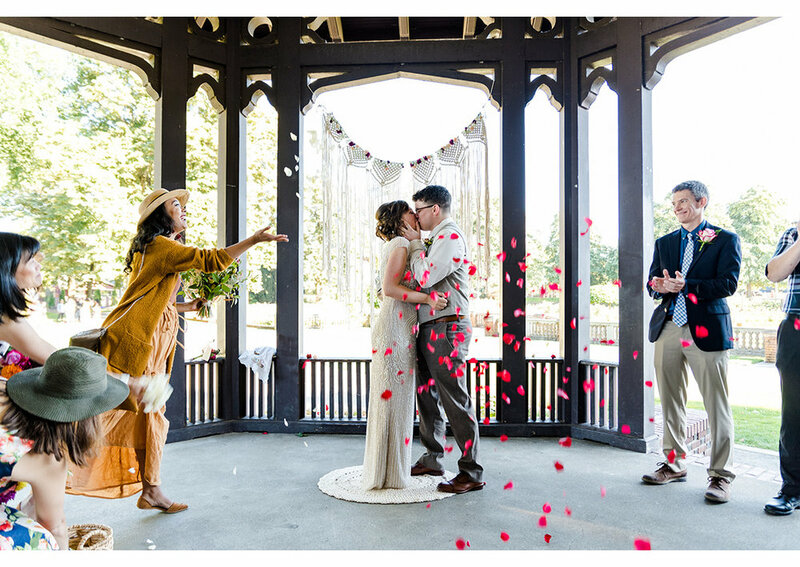 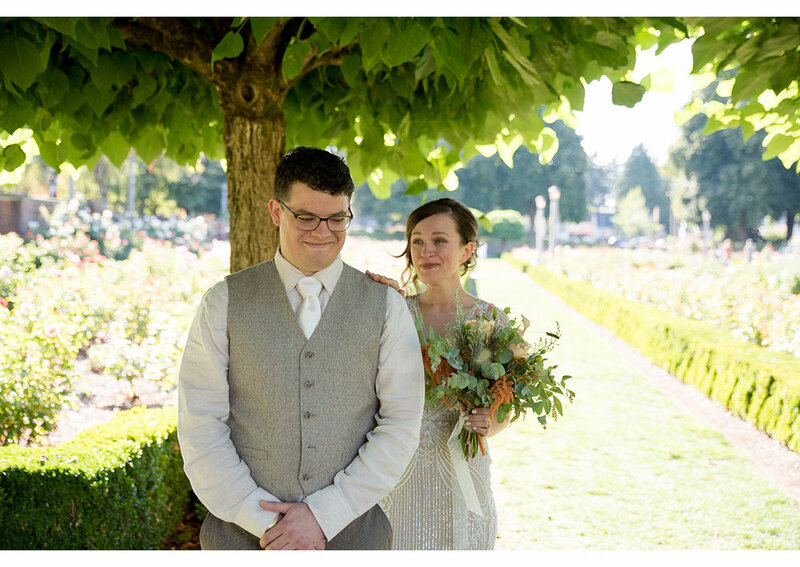 Even though we love the colors of fall, we are basking in memories of late summer with this wedding at the Peninsula Park Rose Garden in North Portland. 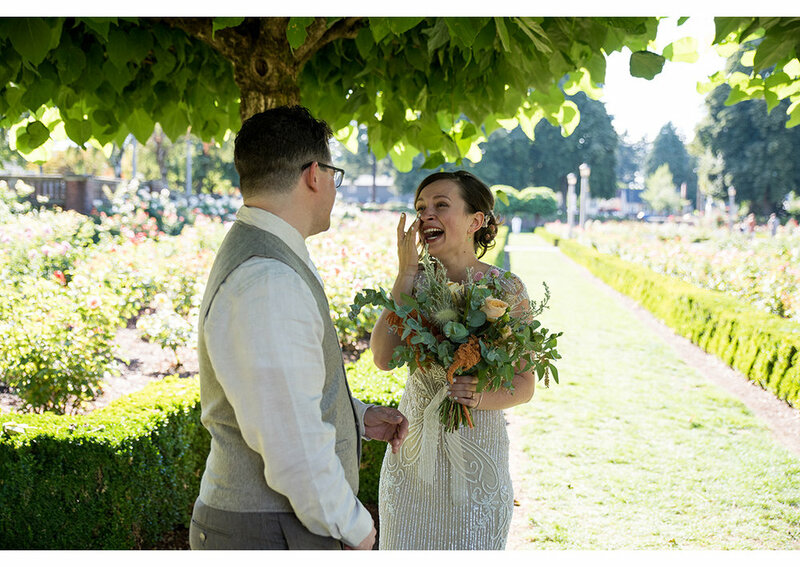 Viktoria and Alex chose to have their ceremony in the neighborhood where they live and we love that they kept it local and were able to celebrate their wedding day in a place with a personal connection to them. 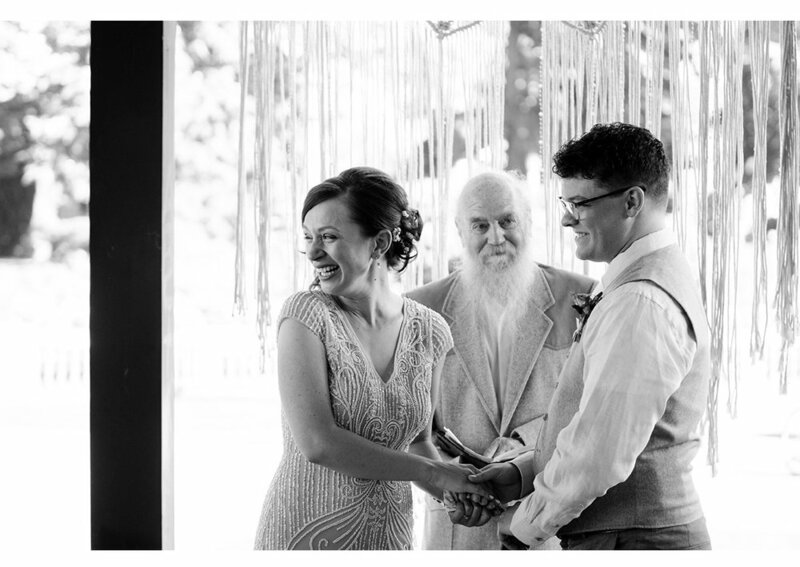 In fact, meaningful location selection was integrated into the whole day as the reception was held a local joint called Bad Habit, where it just so happens that this couple had one of their first dates. 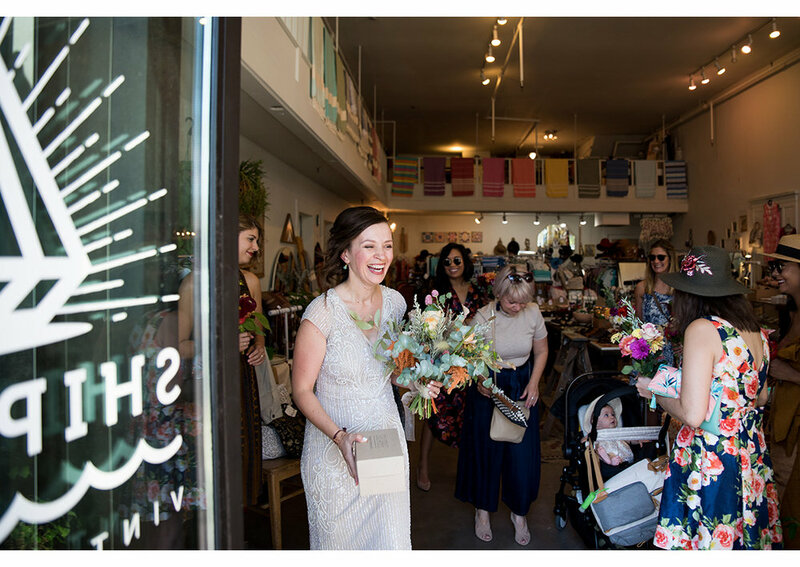 Viktoria and her wedding party put the finishing touches on the looks of the day at Shipwreck, which turned out to have an attic nook that was perfect for pre-wedding pictures! 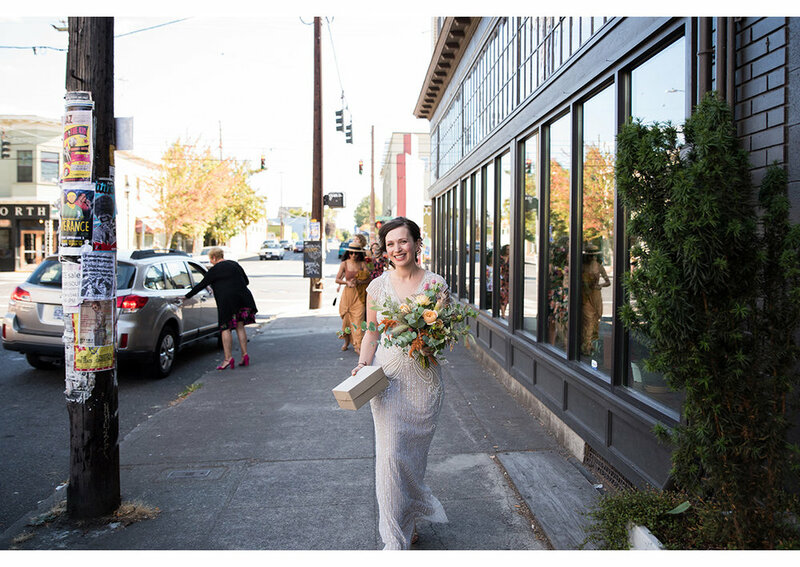 It was a great opportunity to get some pictures of Viktoria’s intricate and elegant beaded dress and capture the moment in which Viktoria’s mother first saw her in her gown. 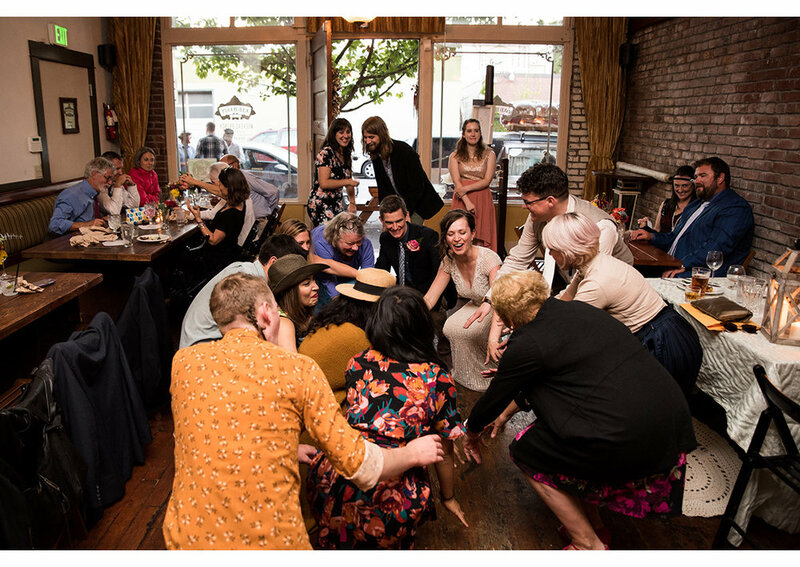 This wedding may have been intimate but it was evident that the couple was surrounded by a lovely and lively group of friends as they danced and celebrated the night away.